The Night Circus has long been on my wishlist for both reading and reviewing. It is well-known, respected, and loved by many. It’s set in the late 1800s and early 1900s and centres around a circus that changes location. It will pop up in a small town with no warning for a few days, and then it’ll move halfway across America and appear in a major city. The circus, which is only open at night, is followed by many and loved by a lot more. And the characters in the story — the artists and performers and managers that run the circus — are unique and wonderful. This story is imaginative, enjoyable and entertaining. Erin has crafted a great premise and has used the quite lengthy novel to project imagination onto the reader. The circus is comprised of black-and-white striped canvas tents full of unique talents and breathtaking experiences for the customers. And it is the magic within this circus that draws the reader in and keeps them engaged. Within the circus, a fierce competition is underway. Two young magicians, Celia and Marco, are competing in a game of imagination and will, and each must take turns in improving the circus by bringing in extra, remarkable attractions. They have been trained since childhood to compete against each other, and along the way, they fall in love. And not only does this complicate their lives, but it complicates their competition. But the competition can not be stopped. It must continue, and only one is meant to survive. The circus arrives without warning. No announcements precede it, no paper notices or downtown posts and billboards, no mentions or advertisements in local newspapers. It is simply there, when yesterday it was not. Erin is a fantastic writer. 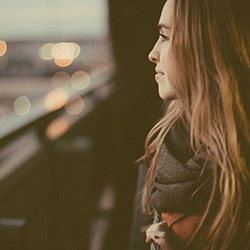 Some of her prose reads like poetry, and her dialogue is realistic. The characters compliment each other within this magic realism setting. The book moves at a slow, gradual pace within the first half, and then speeds up to build the momentum of the story and further interest the reader. 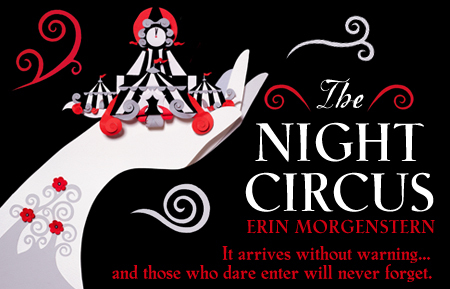 Despite the quickened pace of the final 50 pages, which stifles the reader a little and proves for a slightly confusing ending, The Night Circus is still a marvellous tale, as imaginative as the acts within the circus. Even though there were a few aspects of the book that I felt could have been improved, in particular the characterisation of Celia and Marco who seem to have similar personalities, I do respect this book for what it accomplishes. It is an enjoyable story with fantastical elements carefully woven in.